Da Dells Dirtiest Dash is a 3.6 miles mud/obstacle run held annually to benefit student-athletes in the Wisconsin Dells Cross Country program. 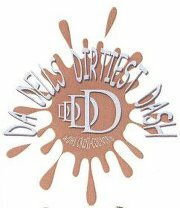 We don't know of any upcoming events for Da Dells Dirtiest Dash. You can check out our list of past events and reviews below, or if you know of an upcoming race, add it to our calendar!